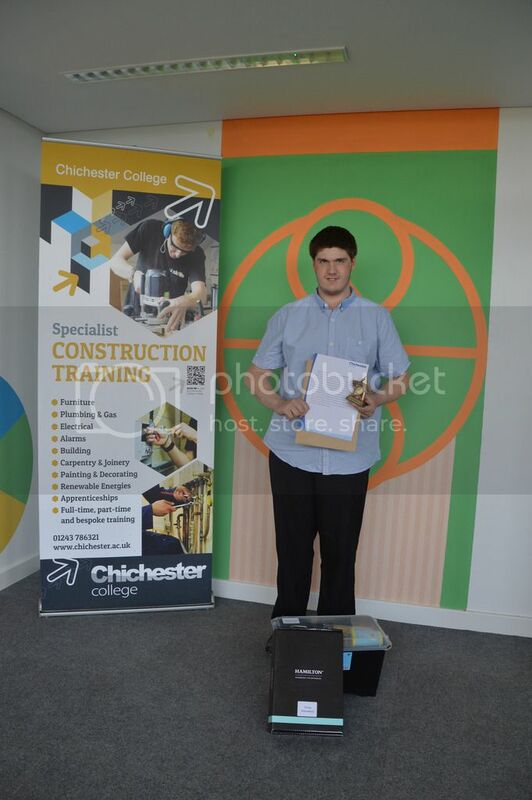 Hamilton are delighted to offer congratulations to two outstanding students from Chichester College. 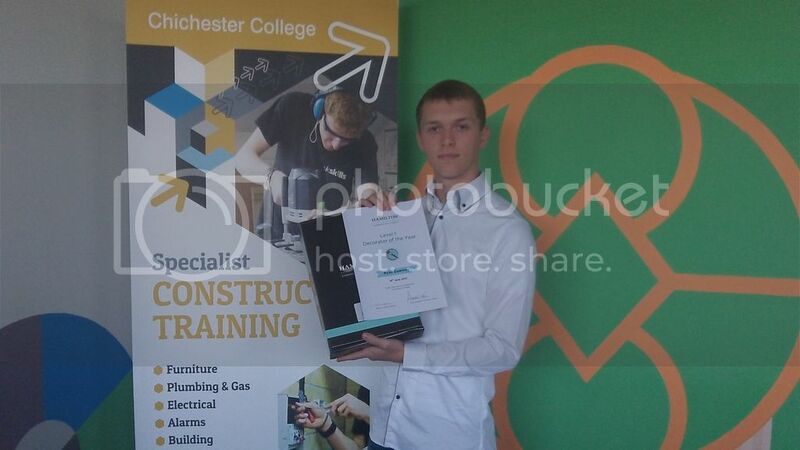 In the awards ceremony on 18th June, Ryan Dawtry was rewarded for his excellent work and won student of the year for level 1 and Tony Harman won the same award for level 2. Ryan and Tony received a Hamilton certificate and a presentation box full of high quality Hamilton decorating tools to put to good use!